As many of you know, I am not a dress person—I live in jeans and cozy knits. Dressing up usually includes black (or plum or grey) pants and a sweater or rayon blouse depending on the weather. This poses a problem when a special event comes around. 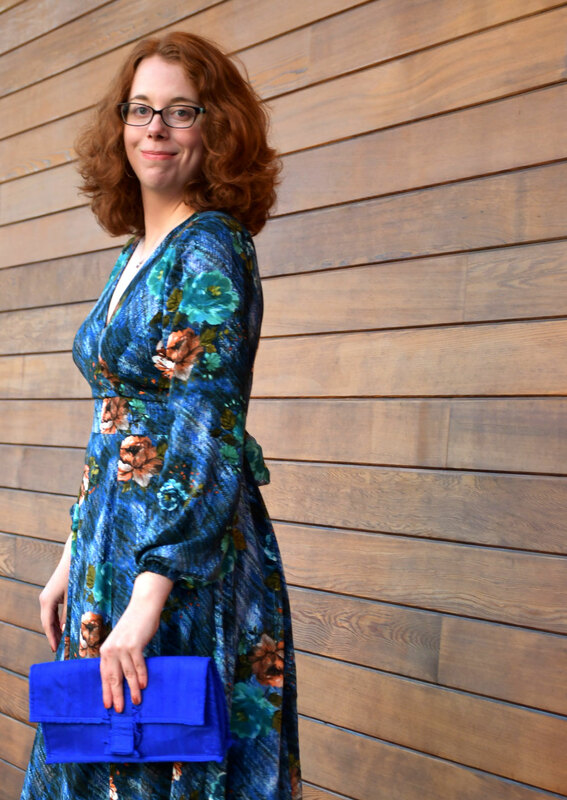 Well, last month a group of Seattle-area sewists put together an amazing Frocktails event and I had nothing to wear. Let me rephrase, I had nothing me-made to wear and I was not going to show up at a sewing event in one of the RTW dresses stashed at the back of my closet. After a couple of weeks with no ideas for what to make or wear, I was feeling a bit frustrated. I wanted something that wasn’t too dressy or over the top and that I definitely wear more than just once. I toyed with the idea of a jumpsuit but wasn’t sold I could pull it off. Finally inspiration struck! After perusing some of my favorite RTW sites for inspiration, three features stood out—midi-length, long gathered sleeves and a v-neck. Sounds like a good combination, right? 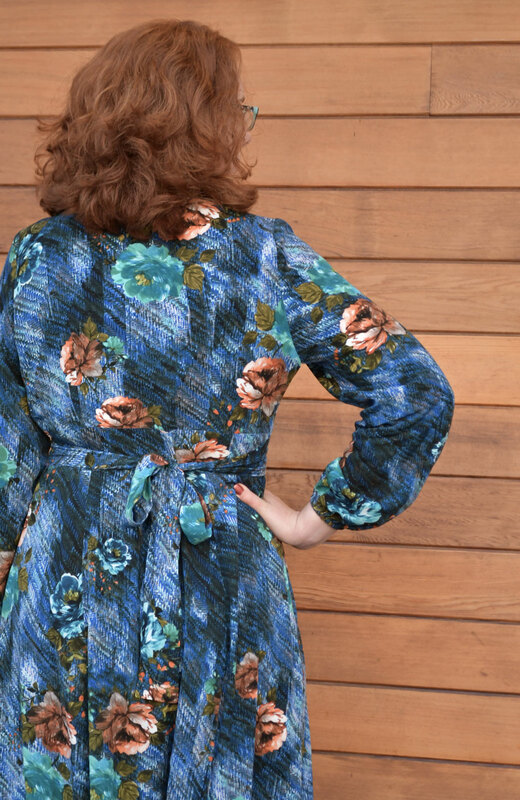 Lucky for me, the Deer and Doe designers were on the same wavelength and released their new Magnolia Dress that included all of the features I loved! Now the question was…which fabric to choose? 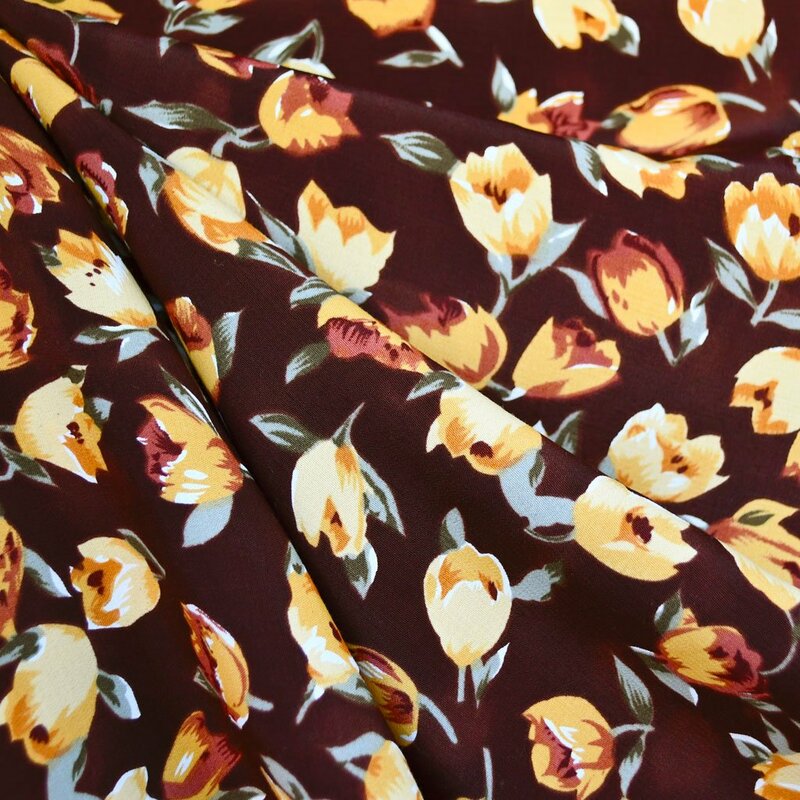 The Magnolia calls for a light to medium weight woven fabric with soft drape which immediately makes me think rayon. After experimenting with a few options, some bolder than others, I settled on the gorgeous Abstract Herringbone Floral. 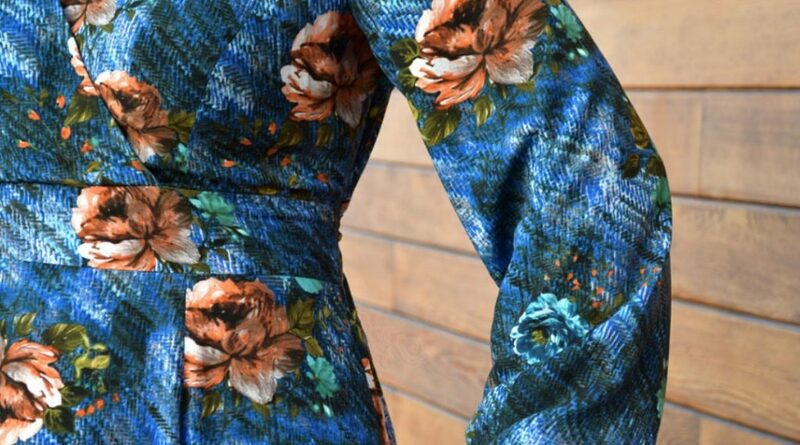 This print feels both modern and sophisticated and combines all of my favorite colors—win-win! 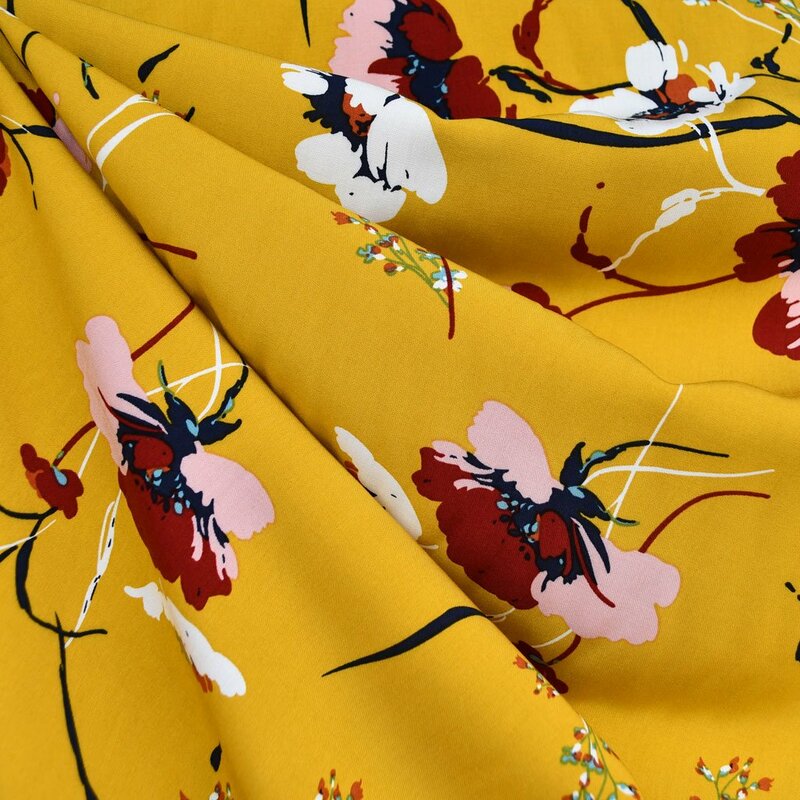 I also thought this fabric that would stand the test of time and be suitable for just about any occasion. 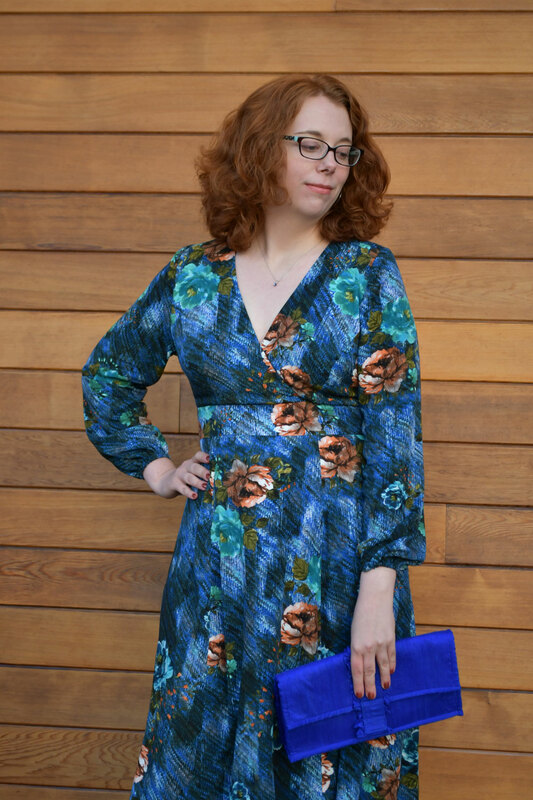 If I was going to sew a dress, it better last, right? Sewing the Magnolia was pretty straight forward. 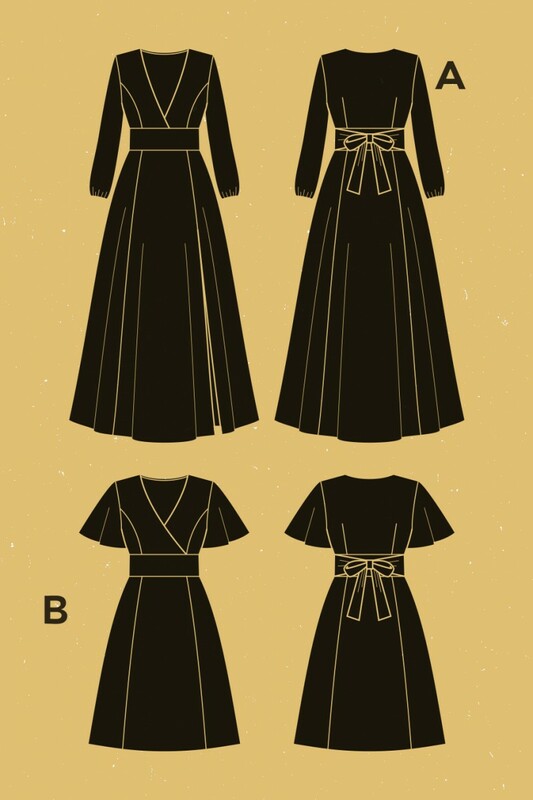 I decided to create my own mash-up of Versions A and B, going for the long sleeves with the higher neckline and a midi-length . After reading Tori’s review, I followed her lead and graded from the 40 to the 42 at the waistband. For the length I started by cutting all of my skirt pieces halfway between the cut lines included on the pattern. I followed the bodice construction steps for Version A but using the pieces from Version B, opting for the double layered bodice. 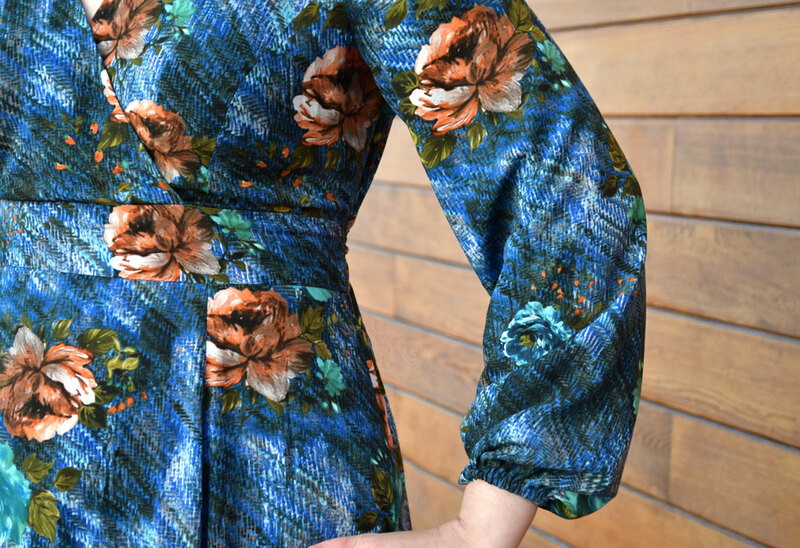 To finish off the neckline, I used some pre-made bias with a little surprise print and a pop of coordinating color! In keeping with Version A, I went for a straight skirt with no slit and for the length I waited until I could try it on almost completed to decide. With Sam’s help to pin part of the hem in place, we settled on a mid-calf length which was about 4″ shorter than my initial guess. Better too long than too short! The hardest part was deciding how tight to make the elastic at the wrists. I wanted the gathered look but also not too tight. In the end, I think I made them too tight! I noticed as I moved my arms the elastic would sneak up my wrists and stay there. Hopefully with a little bit looser fit the sleeves will say where they should. In the process of sewing up my Magnolia, I did come up with an alternate construction idea I might try if I ever make another version of this dress. In addition to the double layered bodice, I would also also double up the back piece. I think you could sew up both complete tops (2 front pieces + back), layer them right sides together and stitch around the neckline. Then, press the seam to the lining side and edge stitch it in place. That would eliminate the need for the bias binding and give you a fully lined top. 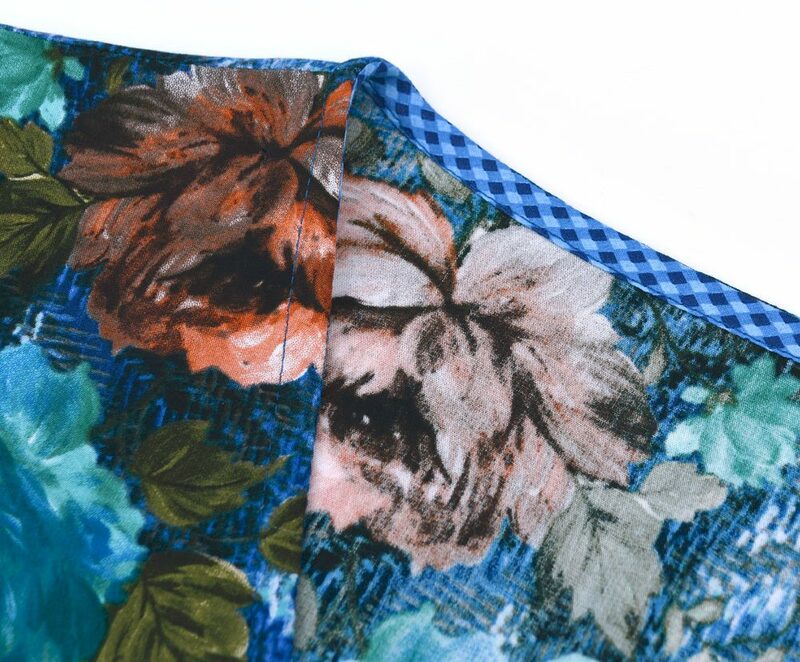 You could also experiment with doubling up the waistband and enclosing all of those seams as well. It’s worth a try! Don’t know that I have ever seen you in a dress but this pattern and fabric looks great on you. I don’t wear dresses. I have tons of skirts but only one dress. Maybe I need to try more! And by the way, with the right design, you can definitely pull off a jump suit. Just make it a casual jumpsuit. I love this dress and the style on you. 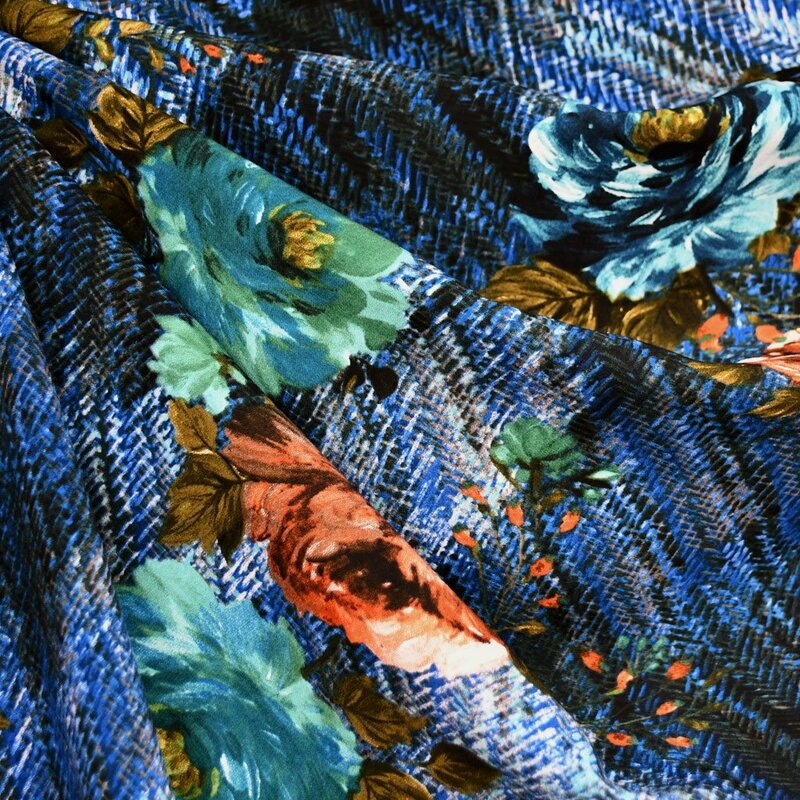 Gorgeous fabric and the blue is perfect on you. Not only is the fit spot on for you, but oh my, those colors! So flattering! Michelle you look so beautiful! I love how the dress turned out too. Based on the line drawing of the pattern, I never would have chosen it. But sewn up and on a real person it looks fantastic! I am ordering this. Dresses with sleeves are hard to find. Thanks. It turned out very well! You should wear dresses more often! I love them; so comfy!